Inbox by Gmail seems to every now and then sneak in a new feature into the program. Today I discovered a new notification setting in the mobile app. 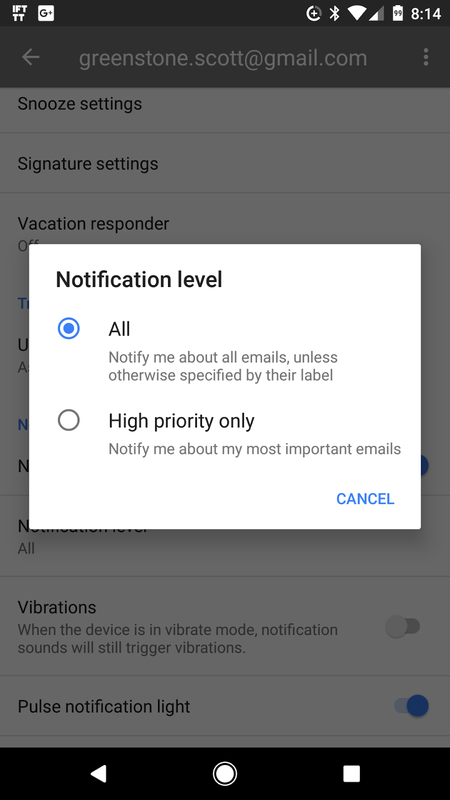 Now users can set the notification level within the app to limit what types of messages you will get notified about. 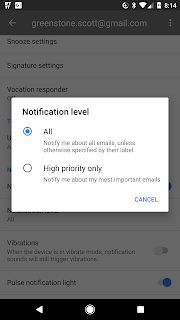 Simply put you can set the level to either All notifications or High Priority only which will only provide notifications about your most important emails. To be honest, I am not sure what it means by most important or high priority only. It could be emails that are considered important by Gmail, or it may just be using some AI to figure out what it thinks is important to you. I will play around and see if I can figure out how it is determining High Priority. Along with the notification option- Will snoozing an email with 'inbox' by gmail app also show the email as new/ unread again in the original gmail app (at the selected snooze time or otherwise) Any input or advice would be appreciated. Thank you! !